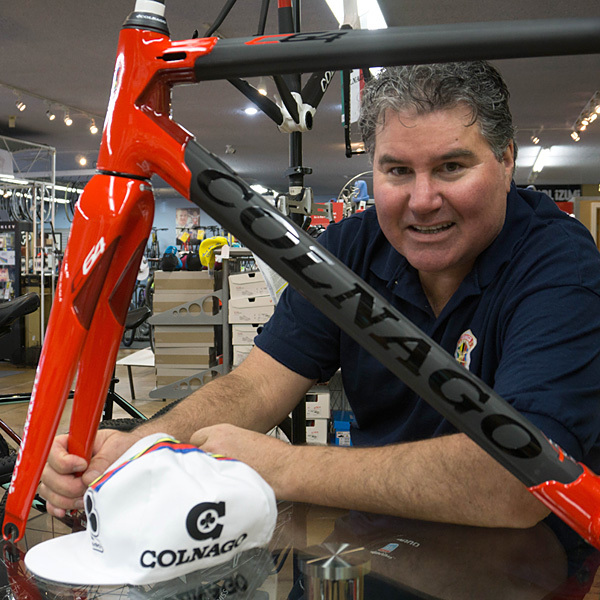 See the new Italian made Colnago C64 at Bicycle Emporium – “tailor-made,” it could be said – in Italy, with revolutionary tubes that are larger, lighter, more durable. 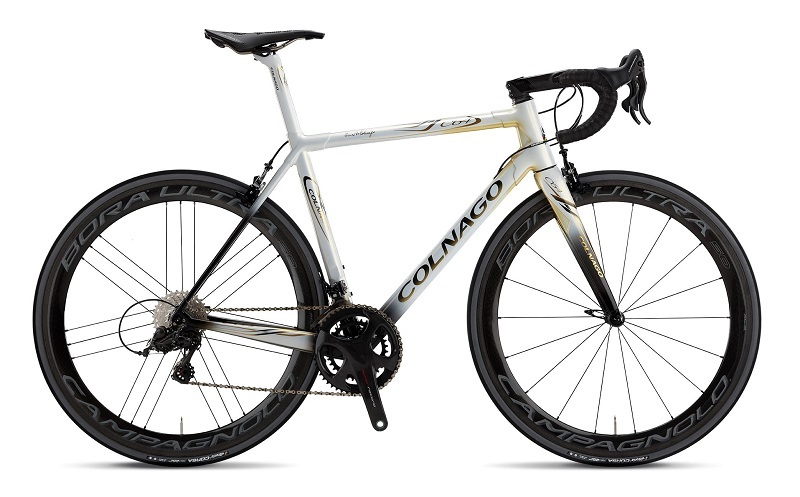 Colnago has long been building the finest hand made bicycles in Italy for over sixty years. The new C64 was designed based on an almost immeasurable history of cycling innovation and success – one which began in 1954. Bicycle Emporium has been building these fine bicycles for over 30 years, let our knowledge get your dream bike built today. Being the replacement from the C60 – all of the tubes of the c64 are lighter, larger and stiffer. The lugged carbon frame design incorporates years of Colnago history into a sleek modern design. Its unique to the say the least and rides unlike anything else in the world. In the C64’s design lies Ernesto Colnago’s knowledge and experience, gained from a lifelong pursuit of cycling perfection. With a fully redesigned fork with a unique rib-shape the rider is provided with more comfort and front stiffness alike, both vertically and laterally. The C64 Disc fork features a steerer tube capable of routing the brake housing internally, providing a very clean front assembly. The thru-axle, while still 12mm like the C60 Disc, is now a threaded system to help reduce the weight of the bike. Fork weight is roughly 355gr on the Colnago C64 Disc. 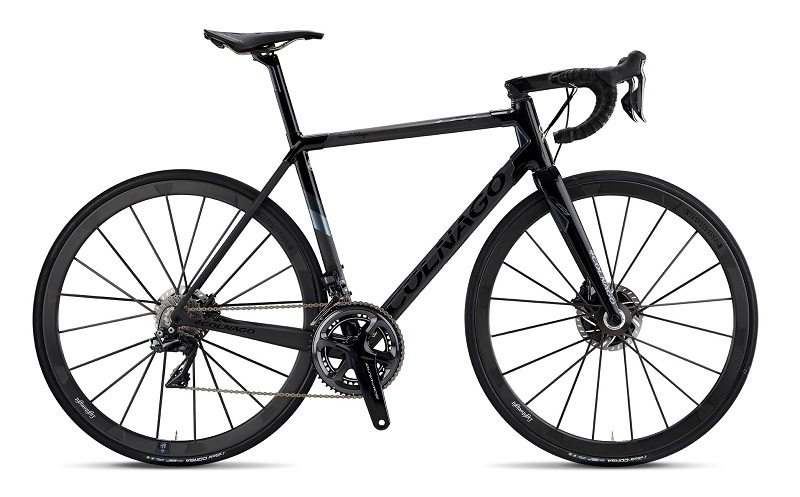 The rim brake version is the same shape as the disc fork and offers a direct mount brake system for the best possible traditional brake configuration, but still with the tire clearance of the modern road era. This was achieved by increasing the length of the fork by 5mm. Moreover, dropouts are now full carbon – replacing the alloy dropouts that were used on the C60. 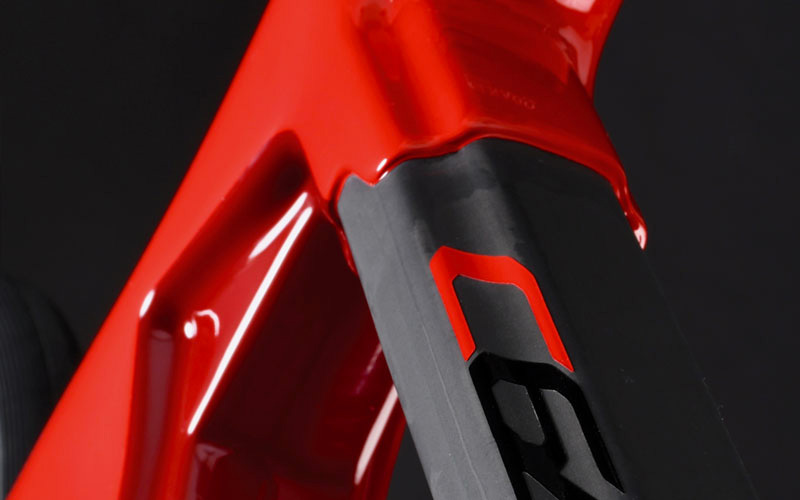 A redesigned headtube retains the overall shape the C60 brought to the table however the with new carbon technology the thickness was reduced allowing for weight savings. The carbon lay was changed from 3k to UD as a result. A slightly new shape helped to increase side stiffness for an even more stable and predictable ride. Using technology from the latest Concept frame design the headset was changed on the C64 to match. With a revised upper cup and materials used, including nylon, polymer and elastomers there is additional capacity for absorbing vibrations transmitted from rougher roads, giving the ride that much more comfort. 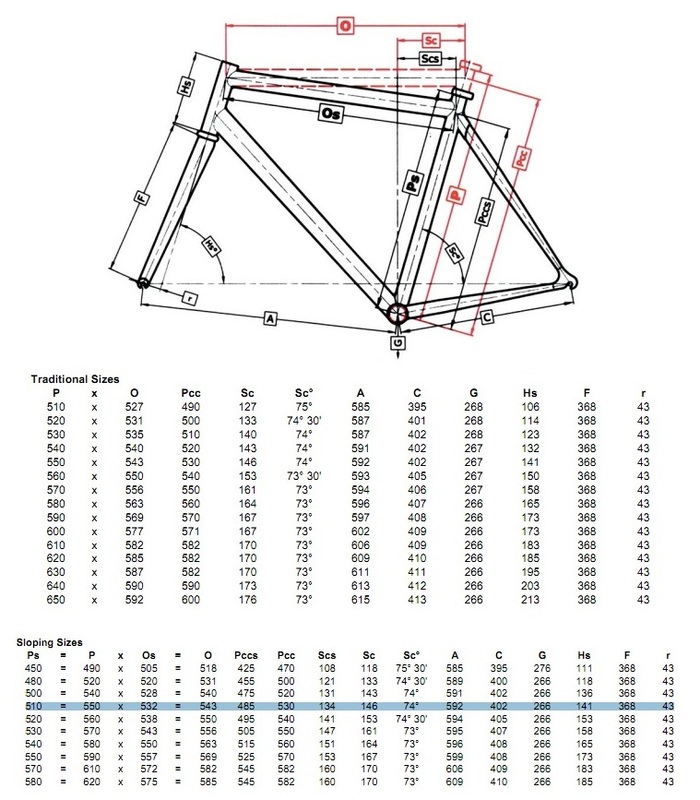 A revised the bottom portion of the down-tube that was composed to be slightly narrower than that of the C60 helps save weight but also ascetically matches the rear triangle better than ever. 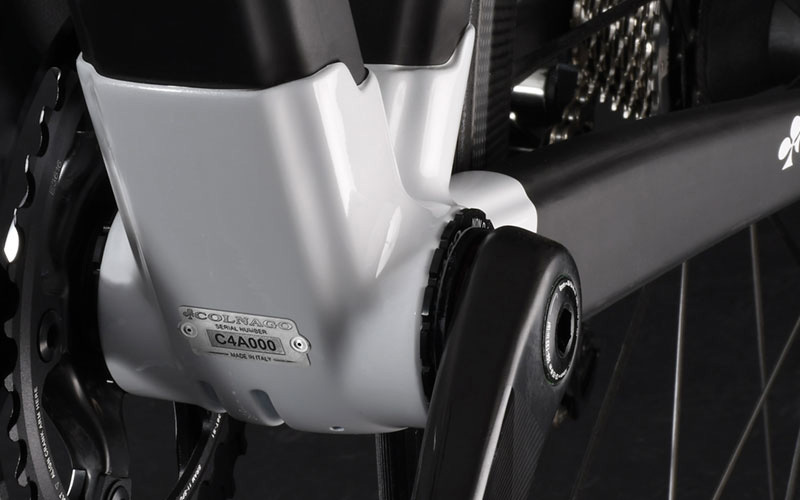 To increase torsional stiffness and maximize integration of components and accessories, the downtube features a recessed bottle cage area. The recessed bottle cage does give a clear aero advantage over a traditional mounting position despite this bike not being an aero design. Cable stops for mechanical shifting are now located on the downtube, in a tucked position behind the headtube, maintaining a clean sleek look.Perhaps the most visually notable difference between the C60 and the Colnago C64 Disc is that the seat tube meets the seat tube lug to form just one single piece. 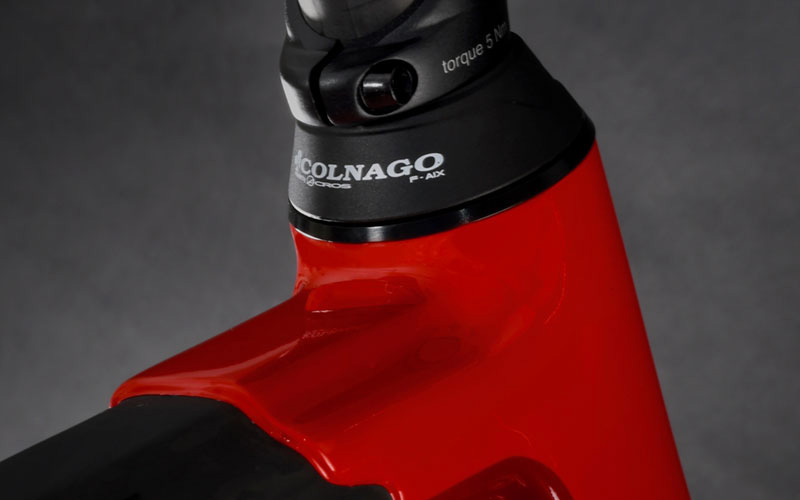 This helps to increase the stiffness of the frame, while keeping the weight as low as possible.Designed around Colnago’s proven ThreadFit82.5, a PressFit with removable base sleeves, the bottom bracket lug is now more technological than ever before. The cable guide, typically a bolt-on plastic piece, is now molded as part of the lug. Asymmetric insertion of the chainstays makes for a notable design that equates to torsional stiffness under heavy pedal strokes. Enjoy the stability up to a 28mm tire for enough traction to hold the line during those canyon spins as well if you want. Call us today for availability or quotes on complete builds. Choose the group, choose the wheels, let us make you your custom Colnago today. 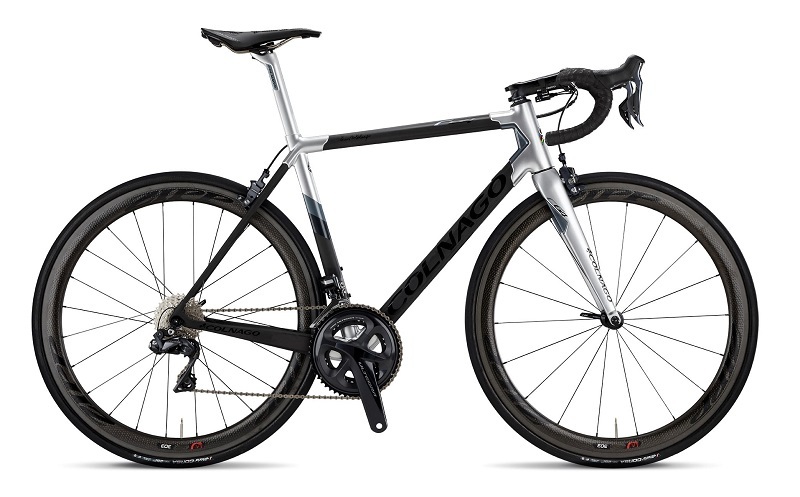 Whether you choose Shimano Di2, Campagnolo or Sram, we can build it, its kind of our thing! What’s more, hand-built wheels are available for a fully custom ground up build. Over 30 years experience, let us build your dream bike. Thank you for taking the time to learn more about Bicycle Emporium, myself, and some of the things that made the shop what it is today. Hope to see you in the store real soon.